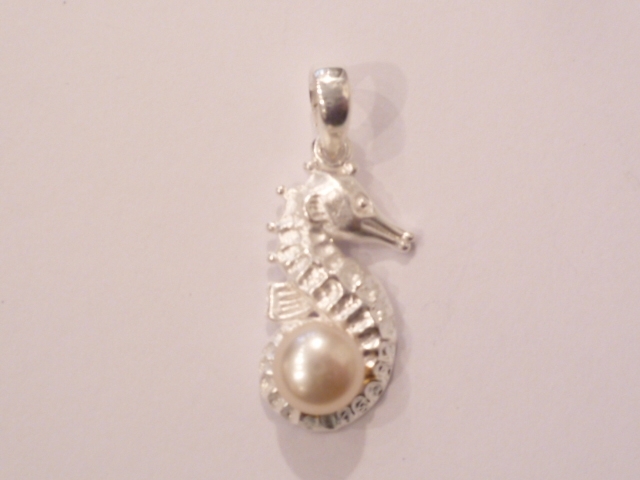 Beautiful sterling silver seahorse pendant with a freshwater peal. Presented in a gift box. Size - length 3.2cm, width 1.3cm.